AI is being used in many interesting and sometimes less visible ways. 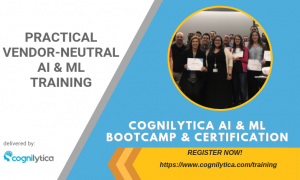 In particular, machine learning is being used to generate content is natural language, descriptive prose from quantitative and other data sources. AI systems have been writing news articles, financial reports, sports summaries, weather forecasts, and press releases for years now. Will we soon find AI systems replacing journalists for regular, on-the-beat coverage? 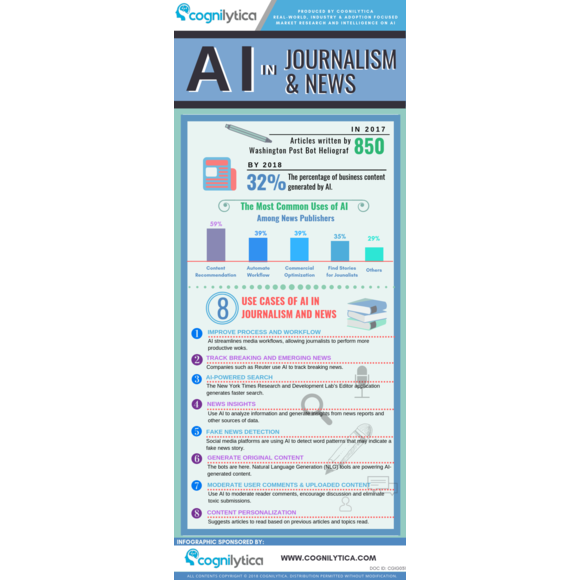 Check out this infographic to learn more about ways in which AI is impacting news and journalism.